SDX, the former San Diego Ad Club, is soliciting entries for its prestigious 2017 San Diego American Advertising Awards competition. The deadline for entries is Jan. 20. The late deadline for entries with an additional $20 fee is on Jan. 25. The timeframe for entries is work that appeared between Jan. 1, 2016, and Dec. 31, 2016. Gold, silver and bronze awards will be presented at a gala event on March 3 at the Lafayette Hotel, 2223 El Cajon Boulevard in San Diego. For more information, visit www.sandiegox.org. SDX’s ADDY Concierge Service is offering entry preparation assistance. Contact SDX at (619) 255-2281 to schedule a visit with an SDX representative. Following the local awards program, SDX will pay entry fees for gold winners competing at the district level, which comprises Southern California and Southern Nevada. Then, district winners can advance to the national American Advertising Awards, presented by the American Advertising Federation. 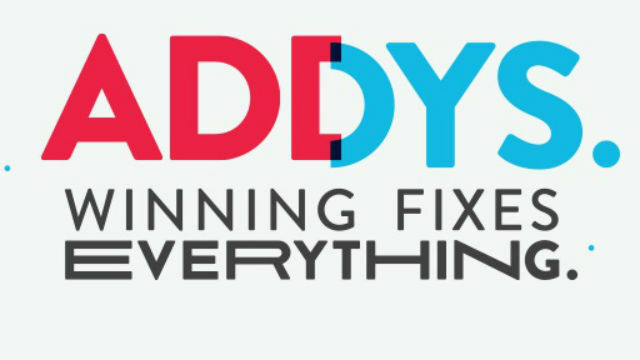 The national ADDYs program is known as the world’s largest and arguably the toughest advertising competition with more than 40,000 entries annually. At the 2016 awards program, SDX presented 122 ADDY trophies to 38 companies in 41 advertising, digital and graphic design categories, culled from 335 entries. Four San Diego marketing firms were honored last year with national ADDY awards. Award recipients included Saint West Filmworks for “Go West” and i.d.e.a. for “Save the Inventor, Dream Small,” both in the cinematography category. In addition, Traina Design was recognized for “Traina Design Salud Coasters” in the advertising self-promotion specialty items category. Also, Wedge & Lever of Encinitas was honored in the book design category for “View From A Blue Moon” for their client, surfboard manufacturer Hurley International of Costa Mesa. John Dowd, with over 20 years of experience in digital advertising and marketing, is serving as the 2017 chairman of the board for District 15 of the American Advertising Federation. 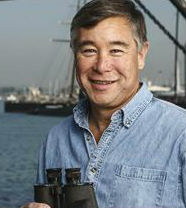 He previously served as District 15 governor. AAF is a national advertising trade organization with about 40,000 members comprising more than 150 local advertising clubs, including the SDX in San Diego. AAF’s District 15 includes 10 advertising clubs with more than 1,000 members who work in San Diego, Los Angeles, Orange, San Bernardino, Ventura and Santa Barbara counties, as well as Las Vegas. 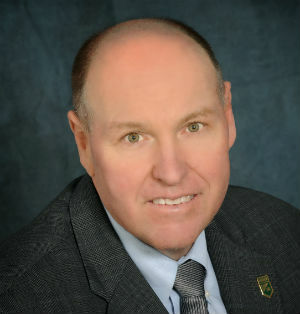 Since 2014, when Dowd joined the AAF District 15 board, he has been involved in advocating against legislative attempts to add new taxes on advertising services, plus developing a national database of members that has simplified internal procedures for dues processing. Dowd is director of marketing at San Diego-based King Schools, offering aviation pilot instruction. During his career, he also has worked in advertising roles with ad agencies, radio and TV stations and newspapers, as well as director of marketing and PR for Turtle Bay Resort on Oahu. San Diego’s American Marketing Association chapter will host a chief marketing officer roundtable from 6 p.m. to 9 p.m., Thursday, Jan. 19, at the law offices of Procopio, Cory, Hargreaves & Savitch, 525 B Street in downtown San Diego. Speakers will include Richard Cran, consultant, formerly at Jack in the Box; Sam McCully, Avoya Travel; and Sarah Polk, Sommetrics. The moderator will be Ken Schmitt, TurningPoint Executive Search. Topics will include what has worked in their careers, what hasn’t worked, how to deal with setbacks and danger spots and why mentors are critical to professional and personal growth. Cost to attend is $20 for AMA members and $40 for nonmembers. For more information, visit www.sdama.org. SDX will host “How the NFL is Increasing Social Engagement Through Effective Brand Storytelling,” a program on sports digital media marketing, from 4 p.m. to 5:30 p.m., Wednesday, Jan. 18, at Zeeto’s Questionable Exchange, 925 B Street in downtown San Diego. Speaking will be Joel Price, senior manager of digital content, San Diego Chargers. Price has been responsible for creating social initiatives that align with the Chargers brand objectives for the past 16 seasons. He has worked with the National Football League club since February 2001. Price will discuss how the Chargers and other NFL teams are tackling real-time storytelling to entertain and engage fans on Snapchat and Instagram. Cost to attend is free for SDX members, $40 for non-members. For more information and to RSVP, visit www.sandiegox.org.